The financial benefit of the compassionate employment is not liable to be deducted at all from the compensation amount, the Bench said. The Supreme Court in National Insurance Co. Ltd. Vs. Rekhaben, has held that the income from compassionate employment granted to the claimant is not liable to be deducted from the compensation amount which is liable to be paid either by the owner/ the driver of the offending vehicle or the insurer. The Court held that an amount which a claimant earns by his labour or by offering his services, whether by reason of compassionate appointment or otherwise is not liable to be deducted from the compensation which the claimant is entitled to receive from a tort feasor. 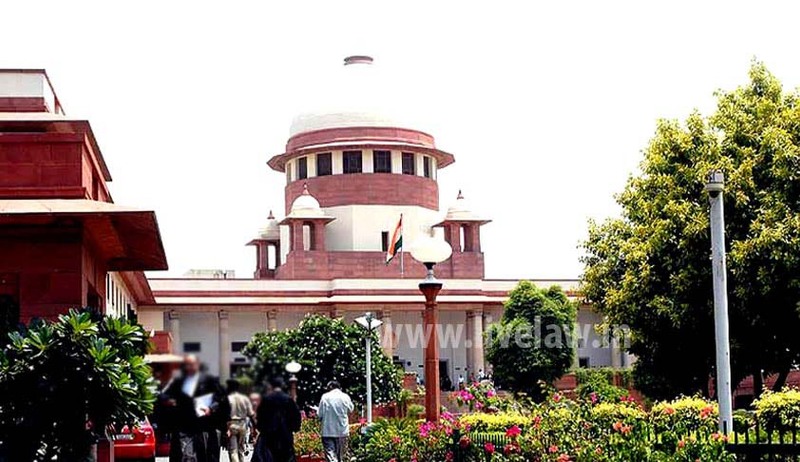 The Bench comprising Justice SA Bobde and Justice L. Nageswara Rao were considering appeals against two High Court orders which had held that, while granting compensation to the claimants in respect of fatal accidents, the amount receivable by the claimants from compassionate appointment given to them by the employer, should not be deducted. The Court observed that in Bhakra Beas Management Board vs. Kanta Aggarwal, compensation was claimed against the employer of the deceased who was also the owner of the offending vehicle i.e. the tort feasor and that was why it was held that the salary which flowed from the compassionate appointment offered by the tort feasor was liable to be deducted from the compensation which was payable by the same employer in his capacity as the owner of the offending vehicle. The Court said that, in these cases, the owner of the offending vehicle is not the employer who offered the compassionate appointment. “It is difficult to see how the owner can contend that the compensation which he is liable to pay for causing the death or disability should be reduced because of compassionate employment offered by another.”, the Bench said. The insurance company, in support of its contentions, placed reliance on recent judgment of the Apex Court in Reliance General Insurance Company Limited vs. Shashi Sharma wherein it permitted the deduction of the amount receivable by the claimant under the scheme of the 2006 Rules framed by the State of Haryana which provided a grant of compassionate assistance by way of ex gratia financial assistance on compassionate grounds to the members of the family of a deceased government employee who died while in service/missing government employee. Differentiating the facts, the Court observed that, unlike in Shashi Sharma case, here the claimants were not offered any sum of money equal to the income of the deceased and they were offered employment and the money they receive in the form of their salary, would be earned from employment. The Court added that loss of income in such cases cannot be said to be set off because the claimants would be earning their living. Upholding the High Court order, the Bench also observed that source from which compensation on account of the accident is claimed and the source from which the compassionate employment is offered, are completely separate and there is no co-relation between these two sources. “Since the tort feasor has not offered the compassionate appointment, we are of the view that an amount which a claimant earns by his labour or by offering his services, whether by reason of compassionate appointment or otherwise is not liable to be deducted from the compensation which the claimant is entitled to receive from a tort feasor under the Act.”, the Bench added.